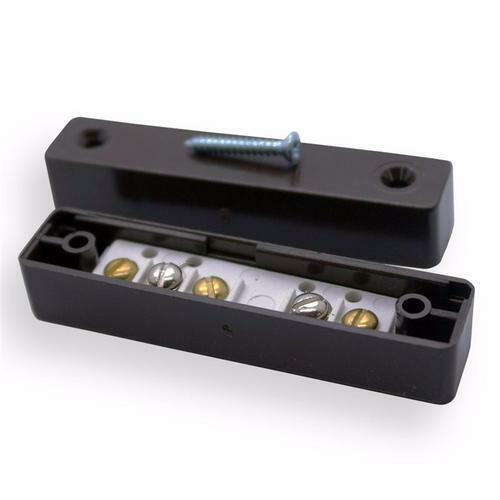 The D20B 5 Term Above Surface Single Reed Magnetic Door Contact from Knight Fire & Security is ideal for placement indoors and windows in light-risk domestic or commercial areas. When wired to an alarm system, these contacts will trigger the sounder if the gap opening exceeds 20mm, and as the contact creates a circuit to your security system, wire tampering or a forced break of the circuit elsewhere will also sound the alarm. What is meant by the term Grade 1? Grade 1 refers to the grade of intruder alarm system you have on the premises, especially if you are depending on the alarm system for insurance cover in your home or business. A Grade 1 Alarm basically means Low Risk, Intruders are expected to have little knowledge of the alarm system and may be restricted to a limited range of easily available tools. The contacts are suitable for recessing or mounting on the inside frame of your chosen door or window and are paintable for a discreet fit.